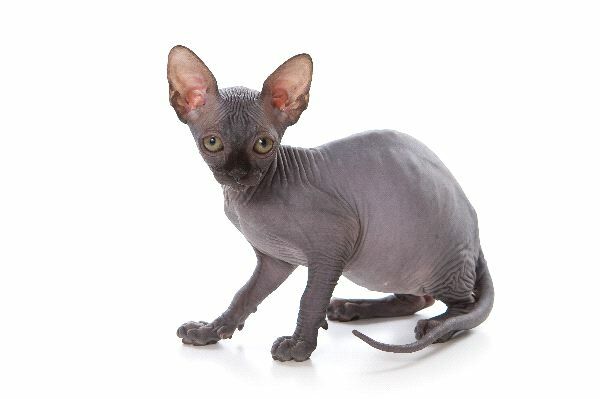 The Sphynx is a cat that is hairless. It is very rare and the fact that it doesn’t have a coat means it has to live in very warm areas. They do have some hair but it is so thin and fine that they do look like they don’t have any hair on them at all. It is important to protect them from the sunlight. The Sphynx has a round face and a gray body appearance. They have long pointed ears. The fact that this breed of cat is so different means that many people want to have them as a unique pet. They can be very expensive to buy from quality breeders.